SER is excited to announce a new program to share and promote your work! 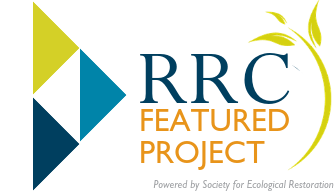 Starting January 2019, SER will award a Featured Project of the RRC and Featured Resource of the RRC from the submissions made to the Restoration Resource Center over the previous month. Featured Projects and Resources and their authors will be recognized in our monthly Restore newsletter and promoted across SER’s social media. Although all submissions will be considered, SER members will be given priority consideration as a Featured Project and Resource. Anyone who submits a project* or resource will be entered to win an Individual Lifetime Membership in the Society at the end of 2019. The more projects* and resources you submit, the more chances you will have to win! In addition, you will earn 1 CEC for your CERP certification for each completed project submission. Submit a project here or search the project database. Submit a resource here or search the resource database. The Restoration Resource Center is an interactive platform for knowledge exchange and learning in the field of ecological restoration. Through its searchable databases, the RRC provides practitioners, researchers, educators, students, and the public with access to a wide variety of resources, publications, and project information from around the world to promote and improve their work in ecological restoration. *Project submissions must be complete in order to be counted.